The Lurgan Mail, a weekly paper founded in 1889 and still in circulation in County Armagh as a tabloid, has joined the British Newspaper Archive (BNA). Editions published in 1915 and 1926 are now available for search. The BNA's plans for this paper will see its holding eventually span 1897–1959. This addition brings the number of Northern Ireland titles in the BNA archive to 43. 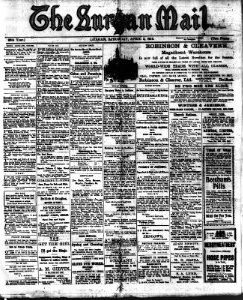 In total, 155 Irish newspapers are available via the BNA; they are also accessible as part of some FindMyPast subscription packages .